3Pillar’s Adi Chikara participated in a panel on the value of blockchain at the FinTech Worldwide Blockchain Conference in New York City on August 17th. Adi spoke on the panel alongside Ryan Shea of Blockstack, Ryan Molecke of SOLES, and Rik Willard of Agentic Group. The panel was moderated by Kyle Burgess of Consumers’ Research. 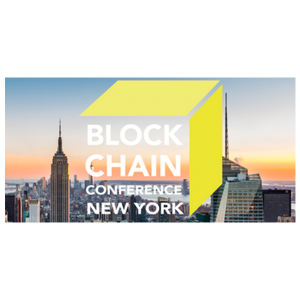 The FinTech Worldwide Blockchain Conference in New York City was the ninth of its kind, having previously been hosted in London, Hong Kong, San Francisco, and several other major cities. The focus of the conference was to look at blockchain beyond crypto-currency. It aimed to educate participants on why large banks, tech giants, governments, start-ups, and investors are getting involved with blockchain at alarming rates. You can watch full video of the panel using the video embed below. Special thanks to Internet Society for the recording! Adi Chikara is a Technology Strategist and part of the Solutions Management Group at 3Pillar Global. He helps 3Pillar clients validate and define their blockchain strategies and has taken to blockchain-based enterprise technology product to market over the last year. In addition to presenting his “blockchain canvas” at the Ethereum DevCon1 conference in London in 2015, Adi has been quoted in publications like Buzzfeed News on how blockchain could impact the global financial system. Prior to joining 3Pillar, Adi held key research and consulting roles in European Union-funded researches. In the private sector, Adi has served in various technical roles at Reuters and product roles at multiple start-ups. The original version of this post was updated after the conference to include a video embed of the panel.